Apex Plumbing is a full service plumbing company offering everything from small repairs, fixture and equipment replacement, drain services, water heaters to remodels, new construction and light commercial complete plumbing systems. Andrew Farmer is the owner and operator and after more than 10 years in business, he believes no matter how small or large the job, it is a big deal to him! Apex Plumbing is a long time member of SLO Green Build and water conservation is a passion of ours. Greywater and rain water catchment systems, hot water circulation systems, zero waste water conditioning, zero waste reverse osmosis systems, high efficiency toilets and fixtures are part of our expertise. 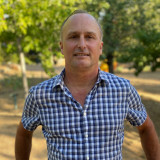 Kevin Saccone at Saccone Plumbing Kevin, a master plumber since 2008 from Massachusetts, has 20 years experience in the field now currently residing in Arizona. Kevin has been in the plumbing field since 1998 in MA. After three years as an apprentice, Kevin received his plumbing license in 2001. He worked for a reputable plumbing company for many years which helped him gain valuable experience in service calls. He went further to obtain his master plumber license for MA in 2008. 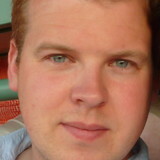 Kevin has worked for large plumbing companies before starting his own plumbing company in 2011. He has experience in commercial, residential plumbing, gas, and heating in MA. Kevin recently moved to Sedona, AZ in the summer of 2017 with his wife and four children. This is where he started Saccone Plumbing, bringing a more modern approach and work ethics. Making it work doesn't amount to making it right. Kevin believes in calling or texting his customers back. Believing in quality and not quantity. He will use the right materials and have modern tools to help make his work clean. This is how Saccone Plumbing's mission came to making it right. Saccone Plumbing is licensed, bonded and insured for residential, commercial plumbing and gas. Plumbing Northern Arizona locations: Sedona, Cottonwood, Flagstaff, Prescott, Prescott Valley, and surrounding areas. Kevin has done work in and around the Phoenix, AZ area. Please call Kevin to check if he is able to work in your area. The philosophy and values of a company is its core. It defines everything the company does and every action it takes. Yavapai Plumbing & Heating’s philosophy can be defined by these basic principles. Excel with Our Clients Treat our clients in the way we would like to be treated. Make it easy for the client. Guarantee our work 100%. Facilitate the Growth of Our Employees Create an environment where people are provided the tools and challenged to do their best every day. Teamwork made up of proud, dynamic team players. Help our employees reach their professional and personal goals. Grow the Company Profitably By growing profitably we are serving our clients, because we will be here for them tomorrow. By growing profitably we are serving our employees, because they have job security and that builds loyalty that allows us to attract and keep the best. By growing profitably we are serving our owners, because without a return on investment no one can continue to stay in business By pricing ourselves fairly and honestly allows us to accomplish the goals above while still providing the client with a great value for the products and services they receive. Can we enlarge and center this text. 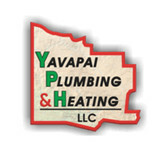 Whatever You Need – Residential, Commercial and/or Geothermal Energy – Yavapai Plumbing & Heating is Your Answer! Call Us Today! Our Mission is to provide professional and reasonably priced plumbing and drain cleaning services to residential property owners and managers while encouraging faith in our business model and character. Blue Plumbing & Drain Cleaning is licensed in Arizona to perform residential plumbing repairs, new construction and drain cleaning services. Family owned and operated since 1996. We operate exclusively in the Prescott Quad City area, so we truly are small town business people. We treat our customers as friends and neighbors, because you are! We pride ourselves in being punctual and honest. We believe there are plenty of plumbing and drain cleaning services to be performed without selling our clients products or services they don’t need. We would rather have your faith and confidence. Then, if we treated you the way we ourselves would prefer to be treated by a serviceman in our own homes, perhaps you’ll think of us the next time you need services. Honesty is always the best policy, especially in a small town! 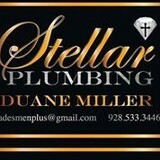 Licensed plumbing contractor here for all your plumbing needs! Top Plumbing Cave Creek AZ provides the best plumbing services in Cave Creek local area. Get reliable local services by professional plumbers with emergency response. Professionals from the start, Shaffer Plumbing is ready to assess your unique situation and solve your plumbing problems. With many years of industry experience, we look forward to being your first choice when it comes to your plumbing repairs. Nothing is more important than a satisfied customer. We offer honest, dependable and guaranteed plumbing services to give you piece of mind. Service is available throughout the Phoenix Metro area and around your schedule. Shaffer Plumbing is licensed, bonded and insured by the State of Arizona. Flex Plumbers Cave Creek provides the best plumbing services in Cave Creek local area. Get reliable local services by professional plumbers with emergency response. With over 20 years of experience in new construction, remodels, and repairs, Coconino Plumbing can serve any and all of your plumbing, septic tank, and fire protection needs. First Line Plumbers Cave Creek guys turn up on time, they're friendly and they clean up after themselves! Choose one of our general plumbing repair services below to see how we can help you. When a home improvement job involves installing or repairing water, gas or other pipes, it’s smart to hire a licensed plumber in Prescott, AZ. Their expertise can help prevent costly water damage to a home’s structural elements, and provide peace of mind that the job is done correctly. Building a new home or remodeling an existing one always calls for the skills of a certified plumbing company as well, so don’t hesitate to contact one for any project, big or small. Read further for more tips on hiring to best local plumbers in Prescott, AZ. A plumbing contractor handles the installation and repair of water, sewage and natural gas pipes throughout a home, as well as interior and exterior faucets and fixtures. Plumbing contractors are also trained to work with water mains, septic tanks, laundry appliances, water heaters, sump pumps and other plumbing and pipe systems. Because plumbing repair work is done largely behind walls and beneath floors, some plumbing companies can also patch or replace tile, stonework and other surfaces. Although some Prescott plumbers are generalists, others specialize in specific areas; a 24 hour emergency plumber will handle urgent residential repairs, while others may be more skilled in remodeling, natural gas lines, overhead sprinkler systems and more. Find a local Prescott plumber on Houzz. Narrow your search in the Professionals section of the website to plumbing contractors in Prescott, AZ. You may also look through photos of Prescott, AZ projects to find a licensed plumber who has worked on a project similar to yours. Here are some related professionals and vendors to complement the work of plumbers: General Contractors, Septic Tanks & Systems, Kitchen & Bath Designers, Kitchen & Bath Remodelers.